Whether it’s to inform, entertain, unify or defend, speeches are a critical form of communication. Good ones know how to grab and keep the audience’s attention, and great ones change thinking and inspire action. 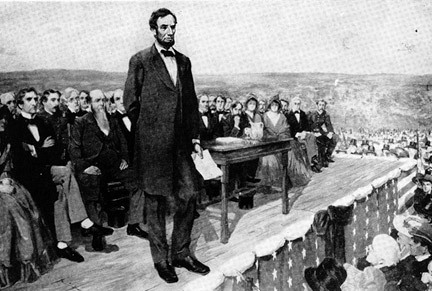 This Memorial Day, I share examples of great patriotic speeches delivered here and abroad that made a lasting impact on the public during times of trial and times of healing. 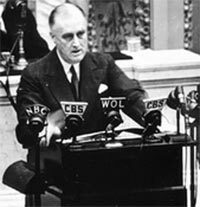 Toward the end of his speech, FDR declared, “No matter how long it may take us to overcome this premeditated invasion, the American people in their righteous might will win through to absolute victory. 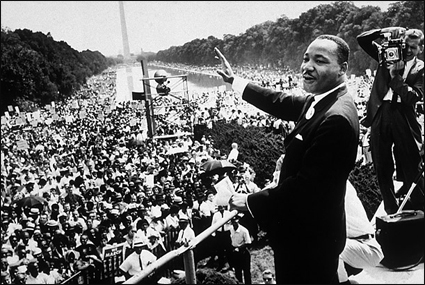 Martin Luther King, Jr.’s “I Have a Dream” speech delivered during the March on Washington D.C. in August 1963 was a defining moment in the Civil Rights Movement. In 1999, it was ranked the best speech of the 20th century in a poll of scholars of public address. 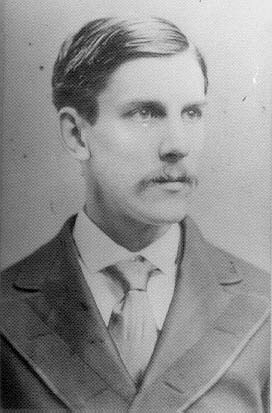 “But as surely as this day comes round we are in the presence of the dead. For one hour, twice a year at least–at the regimental dinner, where the ghosts sit at table more numerous than the living, and on this day when we decorate their graves–the dead come back and live with us. This entry was posted in Inspiration, Speechwriting, Travel & History and tagged Abraham Lincoln, FDR, Gettysburg Address, I Have a Dream speech, Jr., Martin Luther King, Oliver Wendell Holmes, patriotic speeches, Pearl Harbor, political speeches, Speechwriting, Winston Churchill on May 29, 2011 by AnneWainscott. Do you remember where you were on 9/11? I do – that bright September morning 10 years ago I was in my apartment in Atlanta, getting ready to start my work day from home. I got a call from my girlfriend who worked in PR at NYU, urging me to “turn the TV on now.” I called my sister over and together we watched in disbelief as CNN showed a plane crash into the first tower. No surprise, my workday never happened as I remained glued in front of the TV the rest of the day. 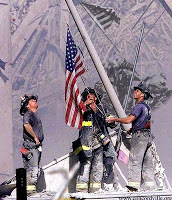 9/11 is to my generation’s collective consciousness what John F. Kennedy’s assassination was to my parents’ generation. In the years since those attacks, life went on for many of us (I met my husband, started a family and worked to build my own piece of the American Dream). It wasn’t lost on me the sacrifices being made by our servicemen and women in the global struggle against terrorism. In recent years, the recession and other domestic concerns were front of mind rather than this war, especially as the housing market collapsed, the stock market imploded and joblessness increased. So, when President Obama announced Monday night that the mastermind of 9/11 was killed by Navy SEALs in a secret raid in Pakistan, I felt elation and a sense of justice, and, above all, relief that “Geronimo” as he was called by our intelligence community, was no more. As a writer, I thought President Obama’s speech was well crafted and hit the important points that an event of this magnitude should convey. …His words needed historical context, clarity of purpose, and faith in the resiliency of our country to see this manhunt (and the broader terrorrism struggle) through. …Above all, his words needed to tell a story. He was most effective as a storyteller when describing how the “images of 9/11 are seared in our national memory.” He said the “worst images” were those not visible publicly – such as the homes which had “an empty seat at the dinner table” and the children forced to grow up without a parent. 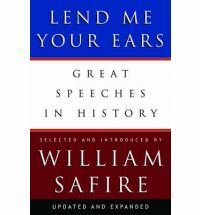 “Great speeches are made on occasions of emotional turmoil,” the late political columnist William Safire wrote in his book, Lend Me Your Ears – Great Speeches in History. Safire, who was Nixon’s speechwriter, also says that at their core speeches are storytelling and the best way to begin even an informal speech is with a story. “I think President Obama did a good job,” says my colleague Carmie McCook, a Washington, D.C.-based speech and crisis communications coach. She adds that you need to provide as much detail as possible – observing that as the president recounted the operation in the compound, “you were visually going there with the SEALs,” she says. Jon Favreau, Obama’s director of speechwriting. If there was one thing I would have changed in President Obama’s remarks, it would be his use of “I” – “I directed,” “at my direction” “I repeatedly”…I understand the need to show strong leadership so close to a re-election bid, but I would have used more inclusive words like “we” and “us” every time. Afterall, it was a collective effort that achieved this mission, and it will take every one of us to be vigilant to safeguard our country from another day like September 11, 2001. I pray that Monday’s actions lead us further along that noble path. 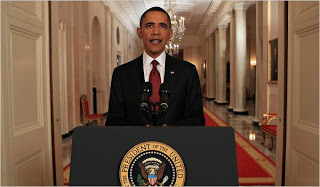 This entry was posted in Speechwriting, Travel & History and tagged 9/11, death of Osama bin Laden, Jon Favreau, President Obama, William Safire on May 3, 2011 by AnneWainscott. As someone who writes scripts on a regular basis, it’s always refreshing when I uncover presenters who are natural communicators. These folks know their subject intimately, and speak to it from a place of authenticity. They get their point across well, engaging their audience with their own experiences, relevant statistics and, above all, a call to action. Earlier this week, I attended a breast cancer golfing event in Atlanta called Agile on the Green. The event has raised more than $130,000 in its six years of bringing Atlanta’s IT community together to make a difference in breast cancer outcomes. The event’s founder, Tricia Dempsey, started her IT staffing company and the fundraising event six years ago while recovering from Stage 3 breast cancer. Both she and Kelly Dolan, executive director of Komen Atlanta, spoke passionately about the need for more awareness and support for affordable mammograms in a state where one in three Georgians has gone without health insurance over the past two years. These ladies are inspiring role models who have mastered how to speak well to get their message across memorably. This entry was posted in Corporate Communication, Speechwriting and tagged how to communicate, public speaking, storytelling on October 8, 2009 by AnneWainscott.